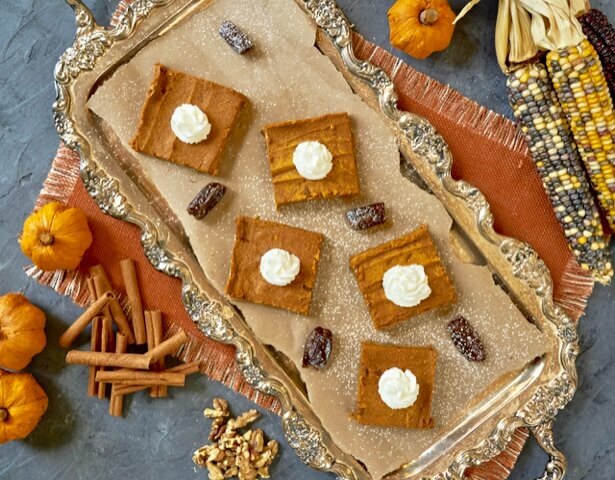 When the clock strikes twelve, Cinderella’s carriage will unfortunately turn into a pumpkin, but these Date & Pumpkin Bars will turn into your midnight snack! Easy to make and fun to eat. 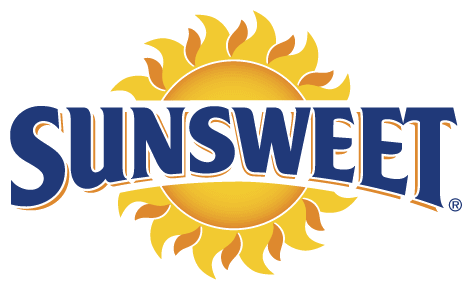 We love using Sunsweet® pitted dates for our bakes, not just because pit-free dates are more time efficient, but they're also rich, sweet, and delightfully plump. 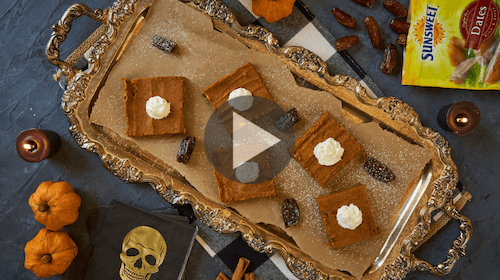 Never tried a pumpkin date duo? It’s a double-dose of health and taste in just one bite! 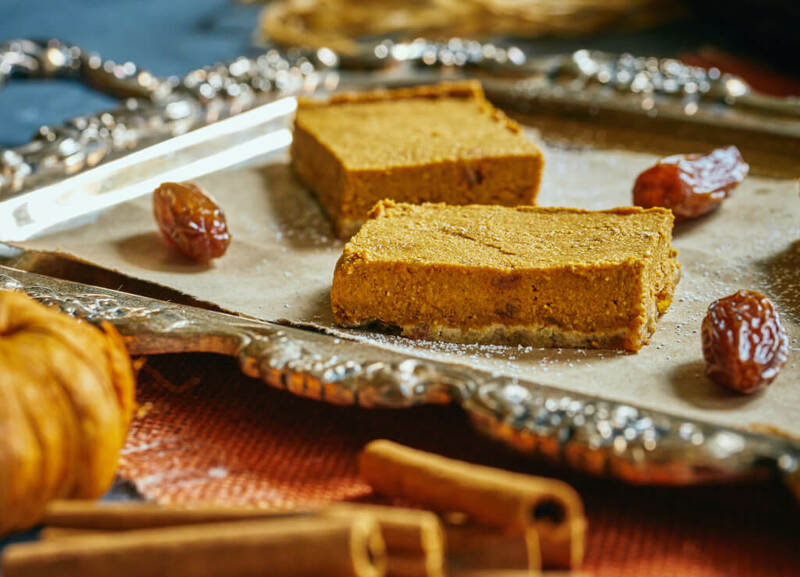 With at least 15 minerals and containing about 23 types of amino acids, the date alone is an ideal snack, let alone dessert bar. Not to mention, three grams of fiber in every serving! 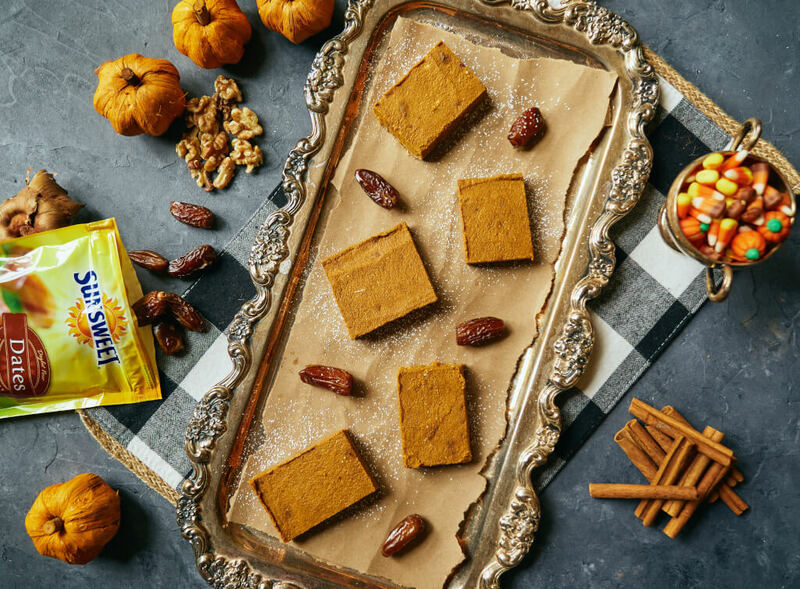 There are no tricks to this celebratory fall bar, only treats. Enjoy! TIP: Serve with vegan whipped cream or whipped topping. YUM! Combine crust ingredients in a food processor. 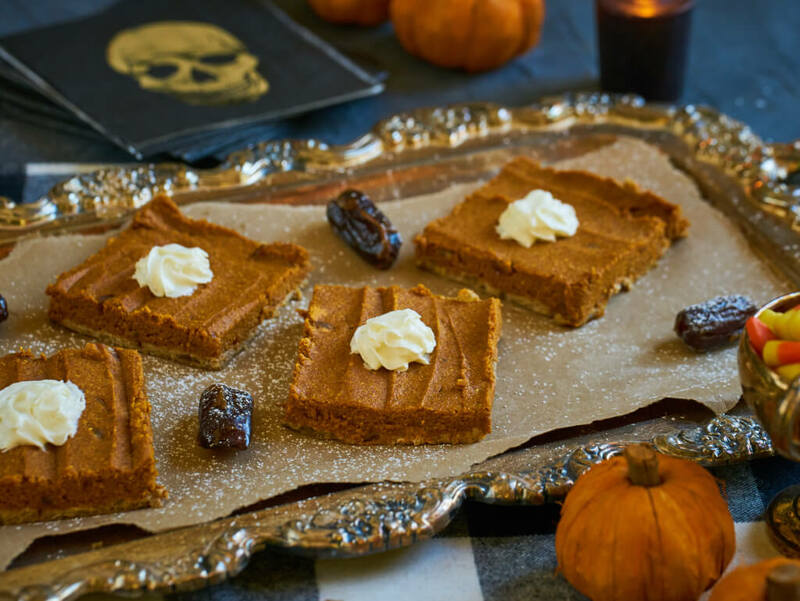 Press into an 8Ч8" baking pan, lined with foil or parchment. Combine filling ingredients in a food processor until creamy - it should be thick. Add filling to prepared crust and freeze the pan for 8 hours or overnight. Thaw in the fridge 2-3 hours before slicing and serving. Topped with candied pecans and coconut whipped cream!